Melbourne-based SA premier jockey Jamie Kah will ride in Sydney for the first time at Warwick Farm. 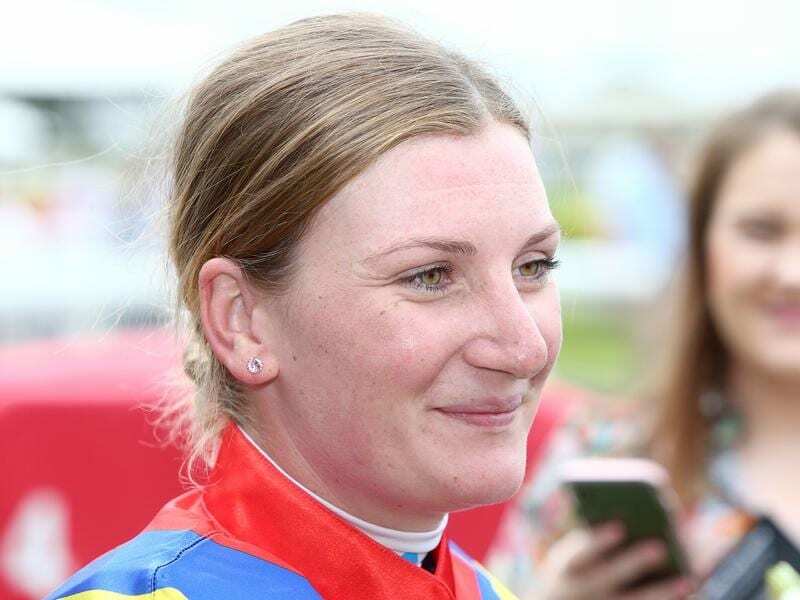 Jamie Kah has come a long way in a short time and will achieve something new when she rides in the Inglis Millennium at Warwick Farm. Having recently moved from her base in the Adelaide Hills to Cranbourne in Victoria, Kah rides for the first time in Sydney on Saturday. She partners the Matt Cumani-trained Lady Naturaliste in the $2 million dash for two-year-olds while later in the day teams with Clinton McDonald on Honey Esprit in the TAB Handicap. Kah started riding in 2012 in Adelaide and has amassed 738 winners and rides Lady Naturaliste for the first time on Saturday. Placed in two of her three starts in Melbourne, Lady Naturaliste is an outsider with Accession and Dawn Passage vying for favouritism. “It’s a pretty nice race to be riding in,” Kah said. “They rang my manager a few weeks back and asked if I’d be interested. Having been the No. 1 jockey in Adelaide, Kah is slowly starting to find her feet in Melbourne. On other mornings she is at Cranbourne before driving to trials and races and has also headed up to Euroa to ride trackwork for Lindsay Park. “I’ve been up to Euroa a couple of times,” she said. “I’ve never set my alarm so early in my life, but it’s been worth it so far. The Chris Waller-trained Accession has drawn barrier 14 with Dawn Passage to start from seven for Gai Waterhouse and Adrian Bott. “Unfortunately he’s drawn 14 but he looks a really exciting horse,” Waller said. “He’s just taken quantum leaps with every run in the best possible way.